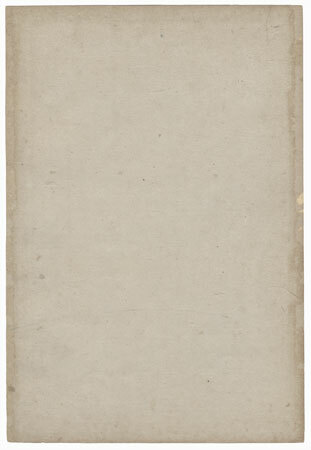 Monkey Music Moon - Each New Year, the emperor sent a goodwill envoy to the shogun's castle in Edo. For entertainment, the ruling family always arranged for a great Noh performance. The invited wealthy townspeople would gather at the castle gates at dawn to ensure good seating. 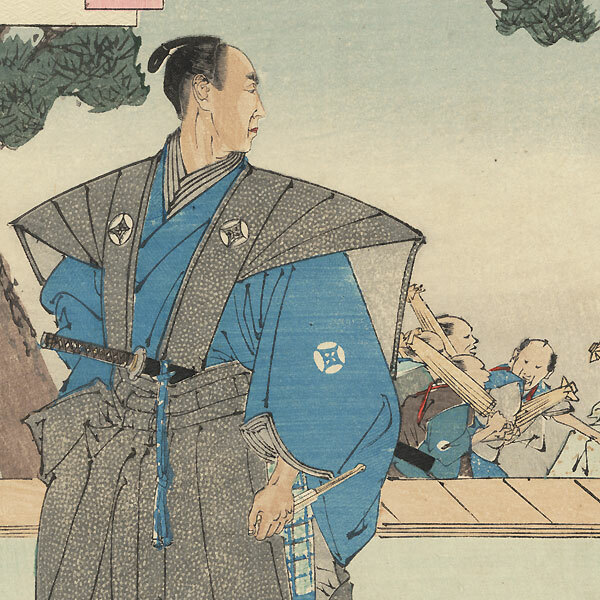 In this fantastic design, a samurai stands stiffly viewing the crowd as they hurry past. His self-contained dignity contrasts with the liveliness of the crowd. 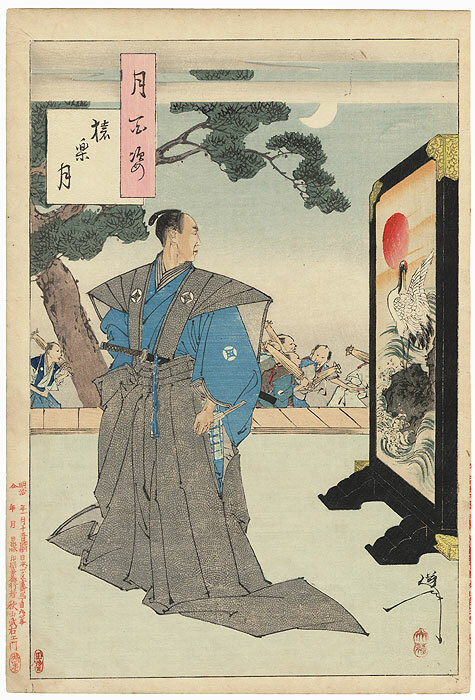 Wonderful image from old Edo and beautiful Yoshitoshi 100 Moon print.